Even though summer is quickly approaching its end and children are soon back in class, there has been little relief from the summer heat. It is nice to enjoy the cool of the air conditioner when the temperatures outside soar. However, you do not want break the bank with the costs of your electric bill. The following tips will help you keep your energy bill manageable. It sounds pretty simple advice, but you would be surprised by the number of people who do not follow it. 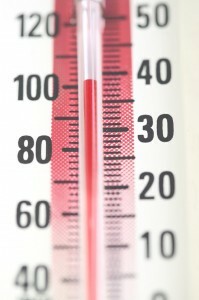 Do not leave your air conditioning run when you are planning on staying away from home for awhile. Even though it may be rather uncomfortable when your return, you will feel a lot better when you receive your utility bill. My wife and I can routinely save over $100 during the months we are away on vacation by turning the air conditioner off. If you have windows that have a western exposure, then maybe you could consider installing awnings over your windows. Awnings can reduce the amount of heat coming into the home by almost 80%. Choose awnings with side panels for the best protection. These types of attributes may seem old fashion and ecstatically unpleasing, but you may be able to put them over the windows in your back yard where no one will see them and still reap the savings from them. The same techniques can be used for your patio. The sun can stream in the glass doors of your patio and supply unwanted heat to your home in the summer. A cover will not only catch the sun’s rays and prevent them from warming up your home, but supply a separate space outside in which to relax. You can also keep the amount of heat down by installing shutters or venetian blinds throughout your house to keep the rays of the sun from coming into your house. Such coverings are also useful for reasons of security too. You can significantly reduce your energy costs by using solar film. Solar film can be fitted on the inside of your windows and prevents the sun’s heat from permeating through the glass, thereby keeping the inside of your home much cooler. Trees that lose their leaves every year, such as maples, also are beneficial when planted near a home. They provide the needed shade in the summer to keep the inside of the home cool while allowing the sun to heat the home during the winter months, providing extra heat and a lower heating bill. You can stay cool and keep your costs down in the summer in lieu of air conditioning. You need to just stay focused on keeping track of your energy consumption. Focusing on ways to lower your energy bills will pay dividends throughout the summer and even as we transition into fall. Some great ideas. I have another suggestion in the form of window tint instead of curtains or awnings. We have western facing windows, so we suffer from glare and heat during the summer. We found that installing window tint on these windows helped with both problems. Take a look at SnapTint window tint kits, we found their pricing affordable and quick to install.